Author Stella Perkins has always believed that every family has a secret and that sometimes these family secrets may come back and haunt the family should they be uncovered. 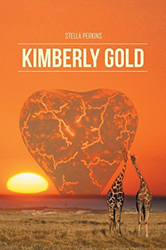 In “Kimberly Gold” (published by Xlibris AU) the author shows how she became very interested in her family’s secret and how she was able to find out about it. “Kimberly Gold” is the story of a skeleton in the family closet and how it was hidden from the author for many years. The story is set in the 1800’s to the first Boer war in South Africa. It shows how the author’s great grandmother lived during those times and the many events that led to her family having a dark secret, a secret that will remain with their family for many years. This book was created to show readers that almost every family has a secret, a skeleton in the closet and that it is a part of their history. “Kimberly Gold” is a truly great read that gives both suspense and history in every page. Stella Perkins has qualifications in health science, art and teaching. She studied at Sydney Teachers' College and has worked as a kindergarten teacher, a primary teacher, and a secondary teacher. She has taught at TAFE, at schools, and at drug and alcohol rehabilitation centres and correctional centres. She was born in Parramatta in New South Wales, Australia. She is widowed with four children and lives on the Mid North Coast of NSW. She has been published previously, but this is her first novel. Xlibris Publishing Australia, an Author Solutions, LLC imprint, is a self-publishing services provider dedicated to serving Australian authors. By focusing on the needs of creative writers and artists and adopting the latest print-on-demand publishing technology and strategies, we provide expert publishing services with direct and personal access to quality publication in hardcover, trade paperback, custom leather-bound and full-color formats. To date, Xlibris has helped to publish more than 60,000 titles.For more information, visit xlibrispublishing.com.au or call 1800 455 039 to receive a free publishing guide. Follow us @XlibrisAus on Twitter for the latest news.